Due to the wars and civil wars that ravaged the Democratic Republic of Congo, the church was not immune to the destruction that took place in Congo especially in Eastern part. Void Filling Empowerment (VFE) is taking part in the reconstruction process. -Rebuilding the broken walls and the brokenhearted- The church is still fighting the good fight of faith despite the intermittent unrest that happen. VFE is partnering with local churches to revitalize the body of Christ for the advancement of the Kingdom of God. 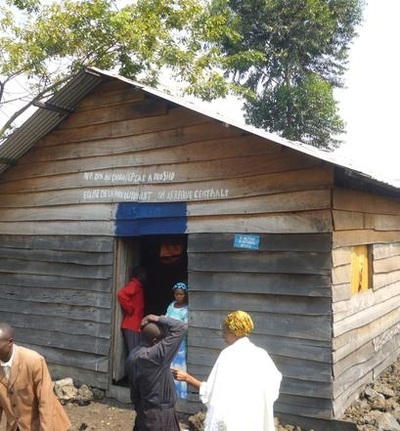 VFE is working with "L'Eglise de la Paix du Christ en Afrique Centrale" to bring the Gospel of Jesus Christ, the message of hope, of comfort in the city of Goma and the suburbs. In the course of five years, Goma one of the cities in the Eastern Congo, has been a theater of battle and the ministry decided to wait until the lasting peace would prevail. VFE keeps working closely with the locals and gets all the updates. Now that the peace has come back, the organization is stepping up to finish the church project, There is a good number of people who are joining the church to find hope and peace for their souls. The main challenge is to have adequate building to accommodate the members who are seeking God. Since poverty is creeping as the consequence of the wars, people are having hard time to keep up with the finances. To remind that DRC is the first poorest country in the World. VFE lends them a hand to the effort that is being done to building the church by providing materials and the church provides the labor. 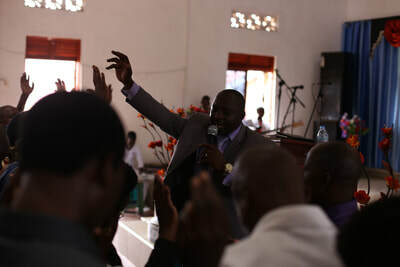 Besides working with this local church, the organization conducts seminars, conferences, for the purpose of training the local pastors to effectively reach out to their people.